You are not alone. Nearly everyone is affected by the Affordable Care Act and will need to do something new when filing their taxes this year. Starting with this year’s filing season, taxpayers must report certain information related to health care coverage on their 2014 tax return when they file this April. 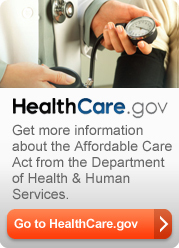 Click here to view the Health Care Law and You chart at IRS.gov to see how the law will affect you. This entry was posted in Blog and tagged ACA, IRS, Obamacare on March 3, 2015 by c02660413.